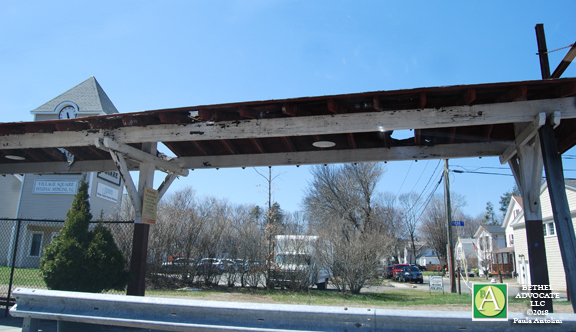 In a Special Meeting of the Board of Selectman (BOS) on Thursday, May 17, 2018, at 7:30 p.m.,the BOS discussed the Old Train Station canopy replacement. First Selectman Matthew Knickerbocker explained that the State of CT deeded the Old Train Station building to the Town of Bethel but still owns the canopy and it is no longer stable and needs to be replaced. The Town of Bethel asked the state to deed the canopy to us and allow it to be historically restored instead of replaced. The state agreed and will help fund it in an amount of $36,800. First Selectman Knickerbocker went on to explain that this is not enough money to restore it and money would need to be borrowed from the general fund and paid back by rent received from the business occupying the building. The BOS unanimously approved the request to borrow from the general fund and amount not to exceed $175,490, for demolition and removal of the old canopy at the Old Train Station in Bethel, and construction of the new canopy, subject to the approval of the Board of Finance, and approval at a Special Town Meeting. 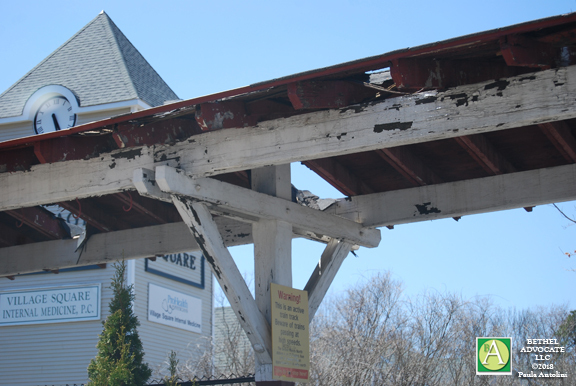 The BOS will consider the request for funding in the amount of $175,490 for the demolition, removal and construction of the Old Train Station canopy and establish a date for the Special Town Meeting at a BOS meeting today at 4:30 p.m. in Room A of the CJH Municipal Center. The BOE waived the bidding requirements for the canopy replacement and awarded the contract for the work to Rizzo Corporation, who provided quotes. The cost of the demolition of the old canopy is $142,600 with an additional cost of $10,000 for flagging and track protection by Metro North. The total cost of the project is $175,490 which includes 15% contingency. First Selectman Knickerbocker made a motion and it was seconded by Selectman Straiton, for a waiver for the bidding requirements, in accordance with the provisions of the Bethel Charter, Section C8-13(C)(4)iv and Section C8-13(C)(4)iii, finds that it is in the public interest and public economy to waive the bidding requirements to replace the canopy at the Old Train Station on Depot Place, on property owned by the state of Connecticut but used by and encroaching on the Town of Bethel property and award the contract to the Rizzo corporation subject to the approval of the Board of Finance. The project approval now goes to the Board of Finance who is meeting tonight at 7:30 p.m. in Room A of the CJH Municipal Center, and the Old Train Station canopy is on the meeting agenda. 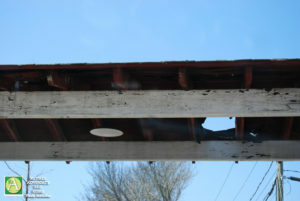 VIEW PHOTOS OF THE PRESENT OLD TRAIN STATION CANOPY IN NEED OF REPAIR, BELOW.